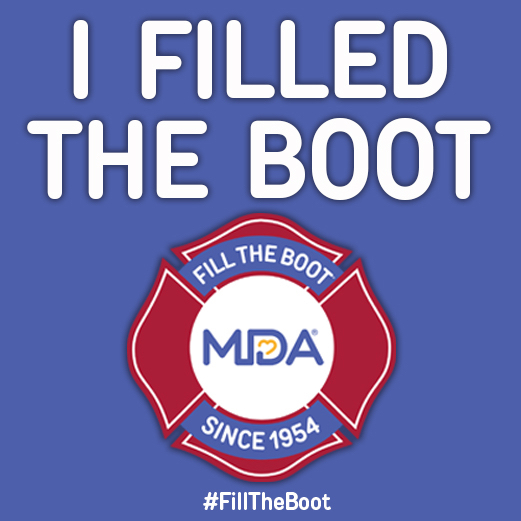 For more than six decades, firefighters have stood on the front lines for MDA, striving to make a difference in the lives of those affected by muscle disease. Be part of this charitable tradition and help the members of the Spring Hill L4628 Fill the Boot for MDA every Saturday, continuing through June 4, at various intersections throughout Spring Hill. Our SHFD raised $13,098 in 2015 for MDA, and with your help they'll reach this year's fundraising goal of $14,000. Proceeds raised help fund vital services and programs, including MDA summer camp.